…Yes, I want you to open it. For those of you who don’t have such a present in the baby room, this is what they’ll see. The back shows off the quilting gorgeously!!!! -keeping secrets is haaaaaard! There were so many times I nearly sent them pictures of the WIP to exclaim over how pretty the whole thing is. It’s sooo pretty!!!!!!! 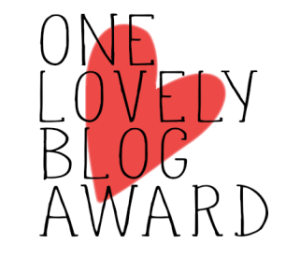 So, things have been busy here, and I have brief moment of calm in the eye of the proverbial storm! And I have some finishes to show off to you all. Firstly: the cross stitch stockings from…ooh, a while ago! Finished! I’m really happy how these came out, although I have no intention whatsoever of replicating these ever again! 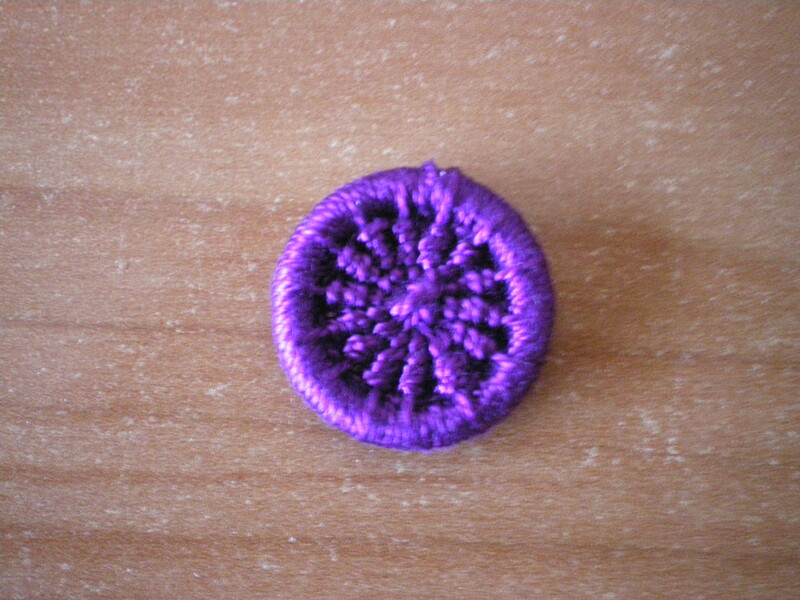 Working with the felt was definitely a challenge, but now I’ve mastered it, (basically how to angle the needle to go through the hole cleanly), I don’t feel the need to try it again! In other news (and another finish! 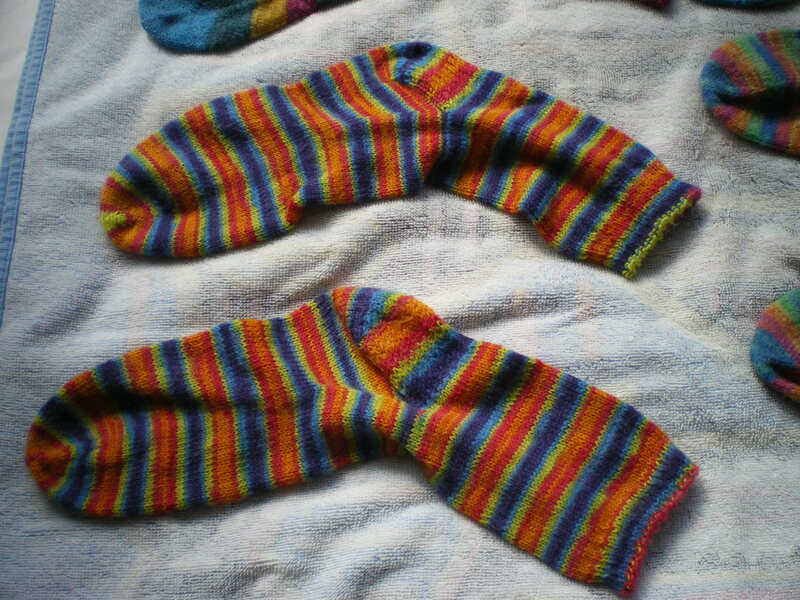 ), I finished the second pair of my mothers socks! I’ve had a quick look through my queue for which pair to start next, and I’m overwhelmed…*facepalm*. I’ll have another look tomorrow I think. Yes, that’s right everyone, two new shiny finished things to show off 🙂 I am clearly very productive over holidays! Firstly: the pillowcase. Technically this isn’t yet finish-finished, but eh. The knitting is all done, so I’m unilaterally deciding it counts. And my second finish: the wolf!!!!!! So as I mentioned on Wednesday that I finished the Hello! cross stitch, so here it is! I completely forgot to record how long it took me to sew, (oops!) but it’s so adorable!!! I just love both the watercolour effect and the negative-space writing. Gorgeous work :D. It will be finished properly in a hoop next weekend when I go back to my parents in Salisbury. Now, what to do next??? I know I said I’d get back to my stockings, but there’s still that wolf to stitch which is calling me…hmm…let’s see what happens! What do you guys all vote? All the Christmas cards have bnow been finished (probably!) I need 13 (well, 12 if I get away with giving my parents a shared card), and I’ve made 12! Anyway, onto the snowflake cards! I’m not wildly keen on this design (I dissect everything, clearly. Why can’t I just smile, wave and move on???). 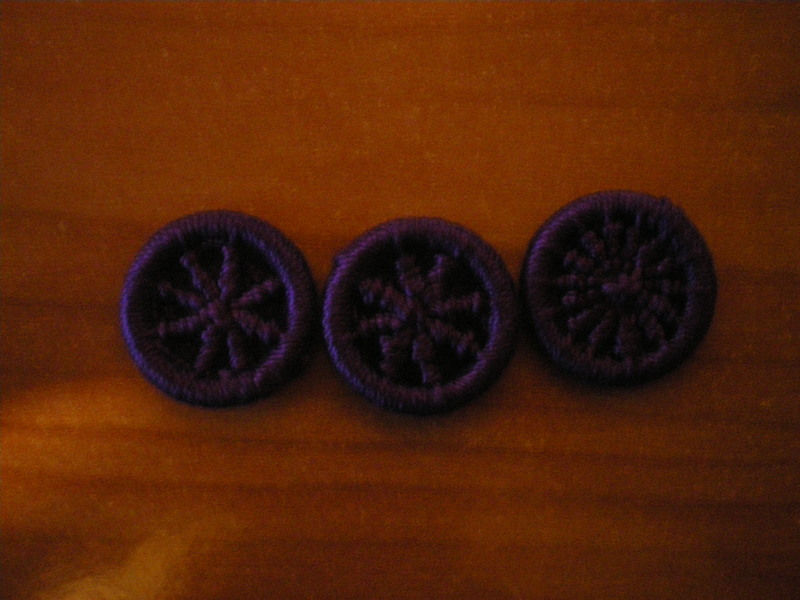 I feel that there are too many lines in the innermost star, and I really didn’t like stitching the outer bits. Ahh well, pretty card, lesson learnt! 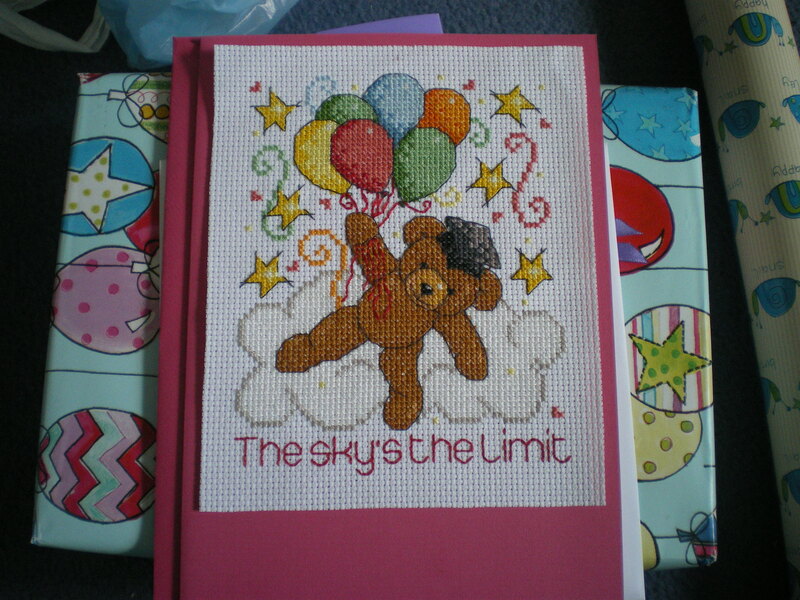 This one was great fun to stitch, although I’m less impressed with the final outcome. It also looks wildly different from the original hole punching, which I find very amusing!!! Yes, ladies, gentlemen and non-binary peeps. The epic blanket of scrappy awesomeness is officially done. (I say officially because I intend to keep adding random hexagons to it, it just isn’t going to be steadily worked on any more). Ok, I think that’s all of them. 23 yarns used, 13 used up. Wow. I’m impressed with that. (Btw, if anyone wants more detail on any of the yarns I mentioned here, let me know and I can give you the proper info on them! Most are listed on my ravelry projects). And my favourite hexagon? One from yarn that I haven’t actually mentioned here. I used Regia hand-spun effect for a single hexagon, and so didn’t really think that I should mention it as yarn used up. 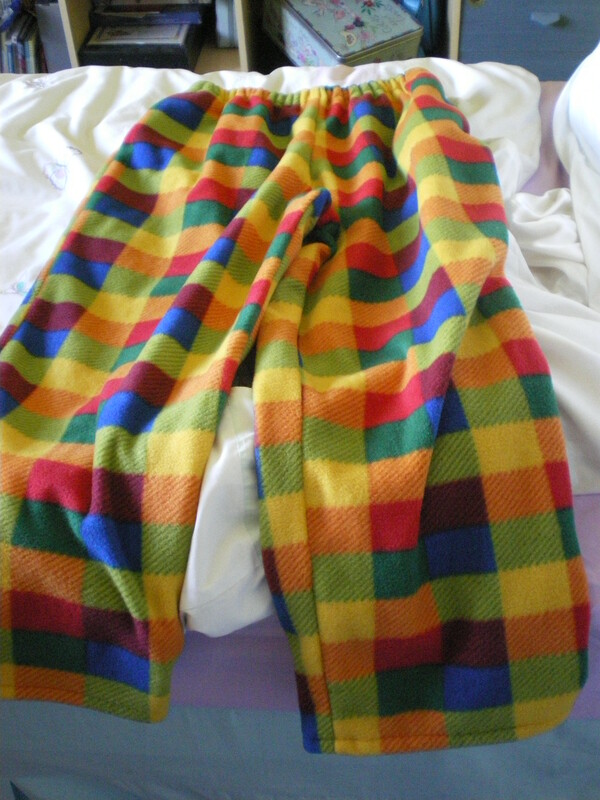 More details about this blanket: I used 1.5mm needles (big mistake. Won’t do that again. Those things HURT!) I sat on the needles twice while making this, both times at KnitSoc. The needles I used are Karbonz, and tbh I won’t get them again. The idea behind karbonz, for those who don’t know, is that the main part of the needle is rough, so your stitches stick to it and don’t slide off, but the tip is metal so the stitches do slide easily and so you can knit faster with less effort. Great idea, but not so great in practice. The tips have a habit of coming loose (some of my needles I had to re-glue several times), and the carbon part splits and small flecks break away, resulting in a needle with a jump in size from the middle to the edge which is really awkward to slide the stitches to knit. But hey ho, lesson learnt I guess! Whew. 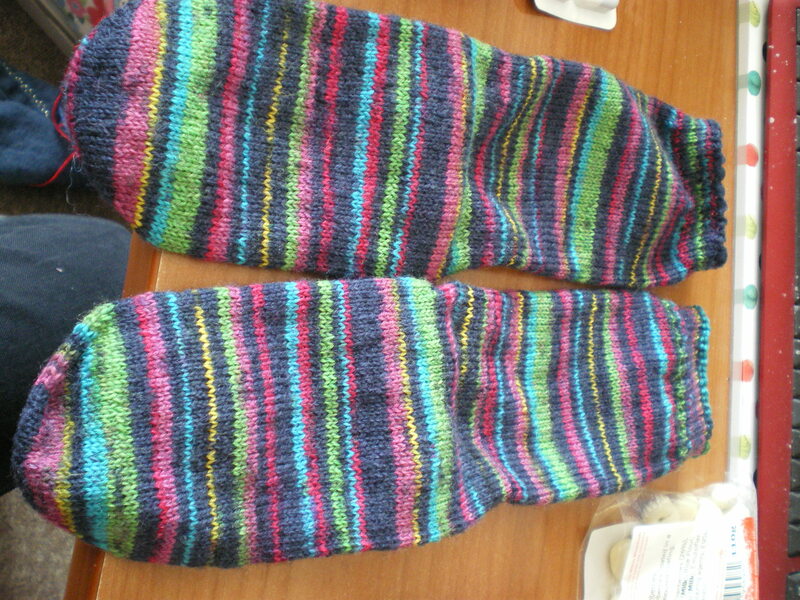 This was an Advent MKAL, which I mainly managed to keep up with. I missed a few of the pattern days because I didn’t like the pattern, but I’m loving the overall size. It’s slightly taller than I am, and 10 inches wide, and I *think* I have enough of this yarn left over to make Frost at Midnight. Hmm, we’ll see. This scarf was originally intended for my aunt, for Christmas this year. However, when my mum and I met her before Christmas, she mention that she doesn’t like mohair, because of how it gets up her nose. Right. New plan: I keep this scarf (woot! 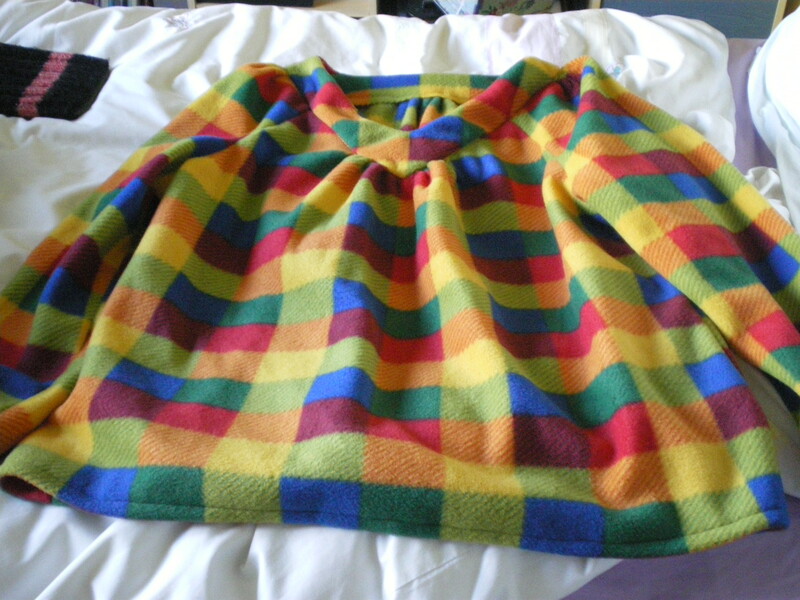 ), and make her another one, in non-mohair yarn. Until my mum thought that I was really sad about this, and commented that she’d like it. Fine, my mum gets this one, my aunt gets another (I have enough beads), and I either make myself one, or that cardigan. We’ll see, I’ve got lots to do before then! Either way, this is one present finished this year, so yay about that! The first is just my sister’s graduation card, finally put onto a card! 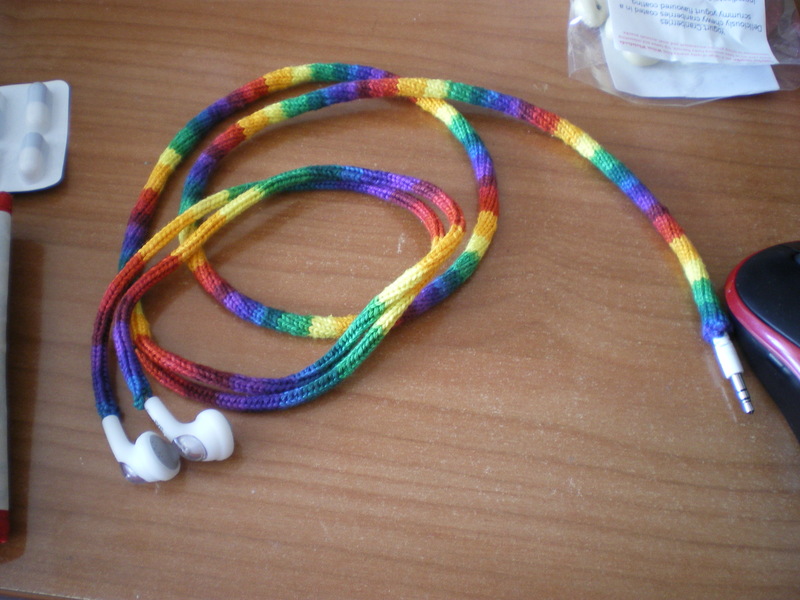 That was very annoying, and I hope that I don’t break these earphones any time soon! And finally, a set of pyjamas ready for Winter. They’ll be living in Salisbury, and so next time I’ll be going home is for Christmas, so I needed to finish them. Ta-da! Since these pyjamas are a big thing, I’ll be continuing my habit of discussing what I learnt from this project. Sewing machines don’t like sewing over 4 layers of fleece! If something doesn’t seem to be running right, stop and figure it out. Don’t keep going until it becomes a big problem! Gathers aren’t so bad. Sewing them is a right pain, however! Mums are magic! 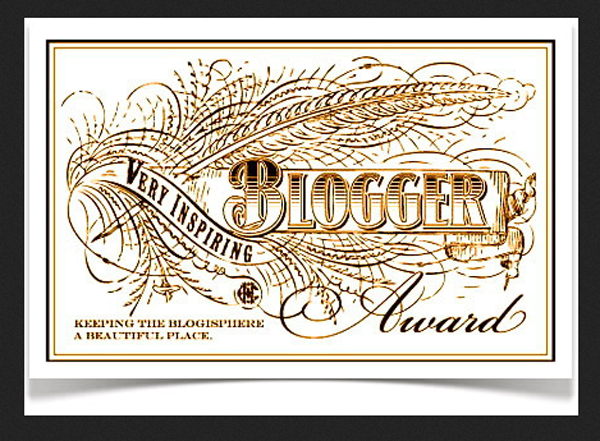 I can’t remember what mine fixed for me this time around, but still, it’s always worth mentioning! Pins don’t hurt, so stop moaning about it! Don’t sew Winter clothes in the Summer, when it’s a right pain trying them on! I think that’s everything this time! Unfortunately, there are only 3 rings in a pack, but I’m totally hooked on this new craft. I’m going to get some more, when I can get to a crafting shop which sell rings. And now? I’m again stuck on what to do *sigh*. I guess I need to get on with figuring out my mum’s birthday present before I go home next week and can actually get around to making them!